Washington Park homes for sale in Denver are selling very quickly too under $400,000. The news seems to be coming from all corners about the strength of the Denver Real Estate Market. 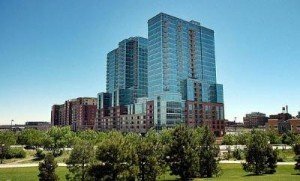 Whether it is Downtown Denver condos or Washington Park Denver homes, the market has seen an increase in demand. 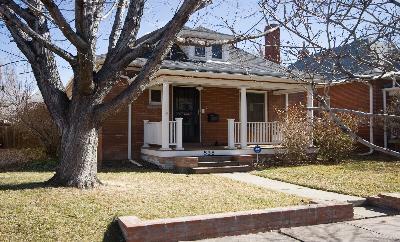 On the nationwide level many news agencies have been reporting on the strength and attractiveness of the Denver Market. Just this month MIG Real Estate announced plans to invest $600 million in the markets that it considers the strongest investments. On that very short list you will find Denver. That is certainly no surprise to those of use who have been watching our great city’s fundamentals. We watch the local statistics closely, from median prices to number of days on market to total inventory in order to understand the housing trends. The Denver areas have been getting tighter in some very popular neighborhoods such as LoHi or Park Hill inventory may be down creating a much stronger sellers market while neighborhoods like Downtown Denver may have more inventory creating an opportunity for buyers. Glass House is an example of how quickly Downtown Denver condos are selling. In tracking the statistics we also like to stay updated on those unique opportunities that occur in whatever our clients target market may be. In any market, information and timely response can be the most valuable asset. For example this past week a unit in Glass House on Riverfront Park came on the market as a bank owned property. Originally purchased for roughly $375K this came on the market at a list price of just $295K. The market reacted with multiple offers going above the listing price. Even in this market great opportunities exist for buyers to obtain short sale or foreclosure properties. Often it is simply a matter of recognizing an undervalued property or negotiating on behalf of our buyer clients. Denver’s market is certainly a great place to be for both buyers and sellers with the right information. Contact me today to learn how market conditions are in your neighborhood either to sell or to purchase that ideal dream home.